Calvin's Climbing Center, is in the lobby of the Spoelhof Fieldhouse Complex. It's modeled after the Red River Gorge in Kentucky and has over 50 routes that change weekly. All instruction and equipment are FREE to Calvin students, faculty, and staff. Belay certification is required (at no cost) and takes approximately 30-40 minutes. You don’t need to have rock climbing experience to use the Climbing Center! There are paths that range from beginner to advanced-level. Calvin provides harnesses and climbing shoes, and you have the opportunity to become belay certified. You can use the wall during regular open hours, or take a rock climbing class for a PE credit. View in virtual reality Have a smartphone? Get Google cardboard and and view this location in our virtual reality experience. You must sign & return the waiver to the staff at the climbing wall before participating in activities at the wall. View the Climbing Center rules. CLIMBING CENTER: Instruction, Belay Training, and Equipment are always FREE. These hours apply to the following dates: September 4—December 9; January 28—March 16; March 25—May 9. The climbing center will be close for all college breaks: Fall Advising, Thanksgiving, Exams, Christmas, Spring Break, Easter, and Spring Advising. 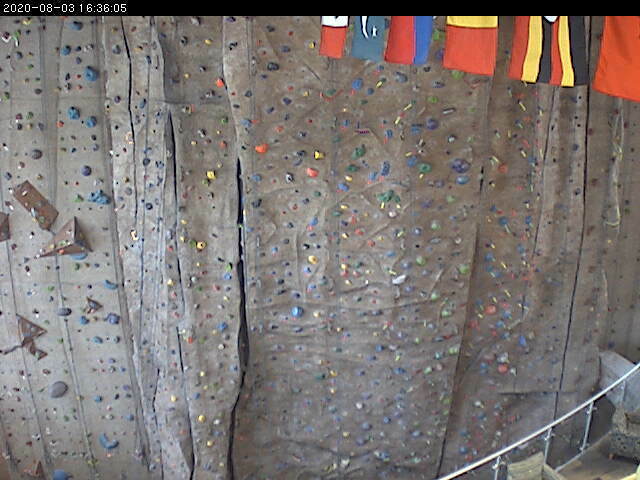 The Climbing Center can be reserved and rented by internal and external groups. If you are interested in reserving the Climbing Center for your group, please contact Event Services at 616-526-6280 or email events@calvin.edu. During the academic year (September 7 to May 5), the Climbing Center is open to group reservations Tuesday and Friday Evenings from 7-9 PM and we can accommodate groups up to 24. During the summer (June 1 to Aug 31), we can schedule groups Tuesday, Wednesday, and Thursday evenings from 5-8 PM and we can accommodate groups up to 12. All climbers must be at least 8 years old and all non-Calvin participants must complete the on-line waiver. Please park in lot 6 just west of the Spoelhof Fieldhouse complex. Accessible parking, automatic door opener, accessible entrance, barrier-free restrooms and elevators.